At 5’6”, the Ronix Koal Fish Classic Wakesurfer was the longest of the three. It had a surfboard kind of look, but not a lot of rocker. It also comes as a 4’6”, which in hindsight I’d have loved to try. Oh well, another day of testing maybe needed. 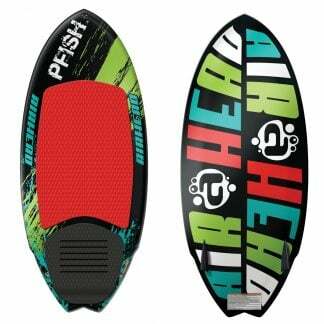 In contrast the Airhead Pfish Wakesurfer is a diminutive 4”1’. It’s a fairly rounded “skim style board. The Ronix Modello Stub Fish Wakesurfer comes right in the middle at 4”8’. It also looked like a hybrid between the to, somewhere between the surf style and the skim board style. It did however quite a bit of rocker. Just looking at the Airhead I knew it wasn’t going to be my new next best friend. It just looked like it needed to be ridden by a youth with a Red Bull cap on backwards, rather than “Cam’s average friend”. But after a brief introduction we got on rather well. Didn’t trust him at all, and rightfully so. He’s a very slippery fellow it turns out. He also very emotionally needy, so don’t let your attention wonder. You’ll be in that dam faster than a teenager can use up his data… But he does have a certain charm, and was quite engaging. He actually made Cam giggle like a girl, when Cam and the Pfish first met. All in all. A very fun, very slippery trick board….. Probably more suited to a more experienced rider. A large rider would probably not enjoy this board as much either. The Ronix Koal Fish Classic Wakesurfer was easy to get up on and all in all a fun board. The board turned well on it’s rail, and provided fast and smooth turns on the water. I did find the lack of rocker a bit of an issue, sometimes burying the nose, but please remember, I’m Cam’s average friend. We also had a Fat Sac full of water, weighing down one side of Cam’s Mastercraft, so the wake was pretty steep. But still a good surfy style wakesurfer. 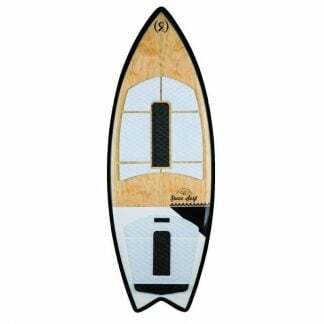 Then, my new best friend, the Ronix Modello Stub Fish Wakesurfer. It’s a great intermediate board; easy to ride, but when pushed it performed great. Did I mention Cam has a Fat Sac .. 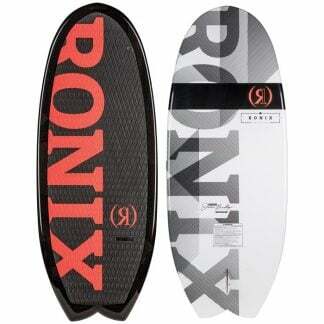 It provided a great wake that the Ronix excelled on. Tight bottom turns, followed by slashing off the tops was the order of the day for even Cam’s average friend. 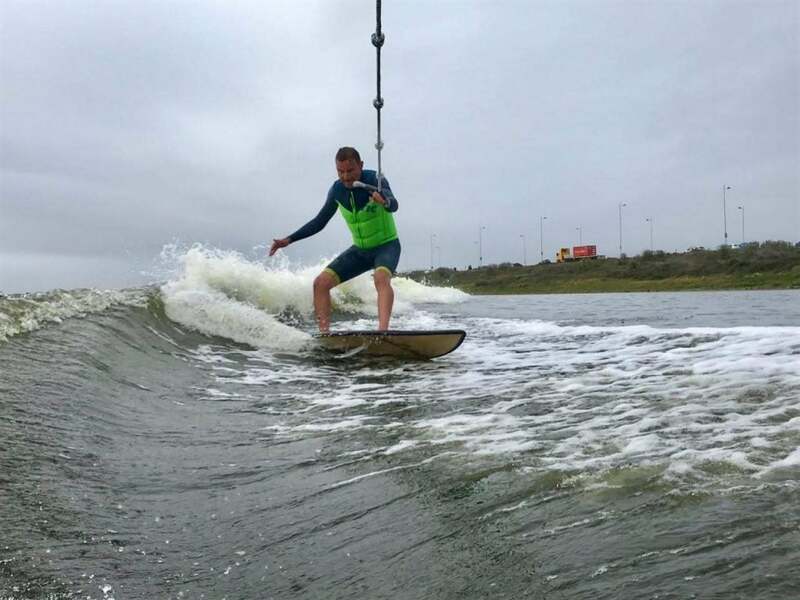 It was also easy to get on the wake, sit in the pocket and and surf the wake with a slack rope. All in all a great board that we all loved. It provided the perfect balance between surf style and a trick style board. So, all boards were good depending on your experience level, and what you want to do on the board. The boards all appealed to a slightly different target rider, but all were fun. We left the dam tired, but with great smiles. Look at the great wake in the pictures above. That’s thanks to our Fat Sac, which is filled with water, and weighs down the one side of our boat. While you don’t need a Fat Sac to have fun, it creates a great wake, that you just have to attack and slash. 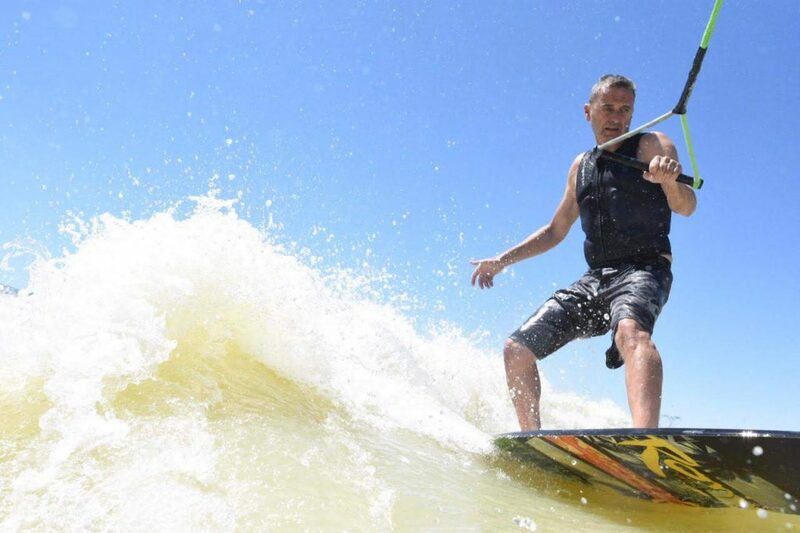 Use a wakesurf rope and handle. We were using the Ronix Bungee Surf Rope. A wakesurf rope comes with a bungee, and with large knots in the rope. 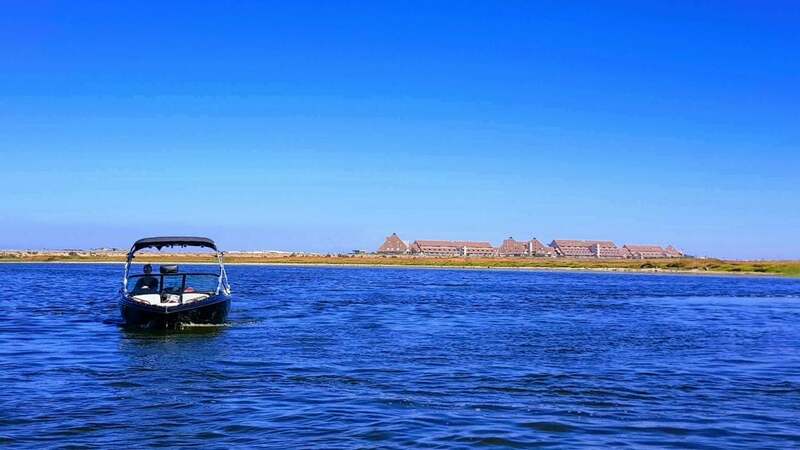 The extra give of the bungee rope helps pull you into the sweet spot of the wake easier, so that you can start getting the necessary push from the wake and toss the rope. The knots let you easily grab the rope, if you lose the push of the wake. You cannot look fat in a good fitting Impact vest. Not only does an impact vest provide protection and flotation, it is also a great weight loss tip. We were using impact vests from Mystic and Glidesoul. 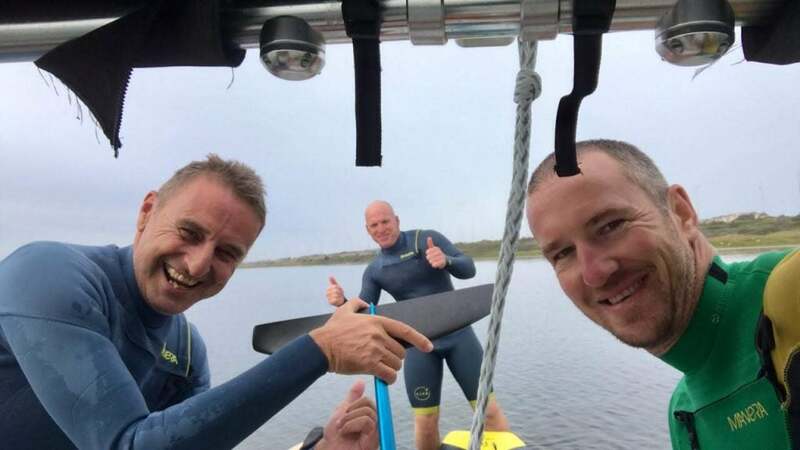 These 3 are only some of the Wakesurfers that Watersports Warehouse stock. Come and chat to the guys and they will recommend the perfect board for you. Click here for the full range of both wakesurfers and wakeskates. Previous post: SALE on second hand F-one and Airush Kites.